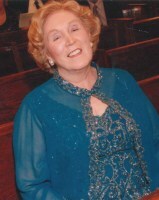 Roberta was a leader in pioneering senior services for almost 30 years. She purchased Help Unlimited in 1991 and developed it into an innovative company employing skilled representatives to assist seniors in their homes with sorting mail, paying bills, tracking medical claims, and organizing financial information. Roberta passed away in August 2015, but her legacy of integrity, devotion to exceptional competency and her unflappable cheer informs all the work we do here at Help Unlimited.